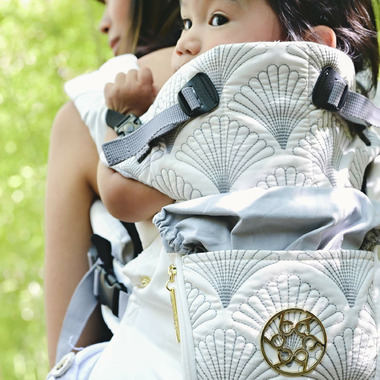 Lillebaby Complete Embossed Luxe Baby Carrier is timeless and sophisticated; the Embossed collection is as comfortable as it is stunning. This is featuring an ultra-soft, light and highly breathable microcloth with embossed designer detailing, and suede cloth to wrap you and your baby in pure luxury. The padding is left out to make it super lightweight for effortless baby wearing. 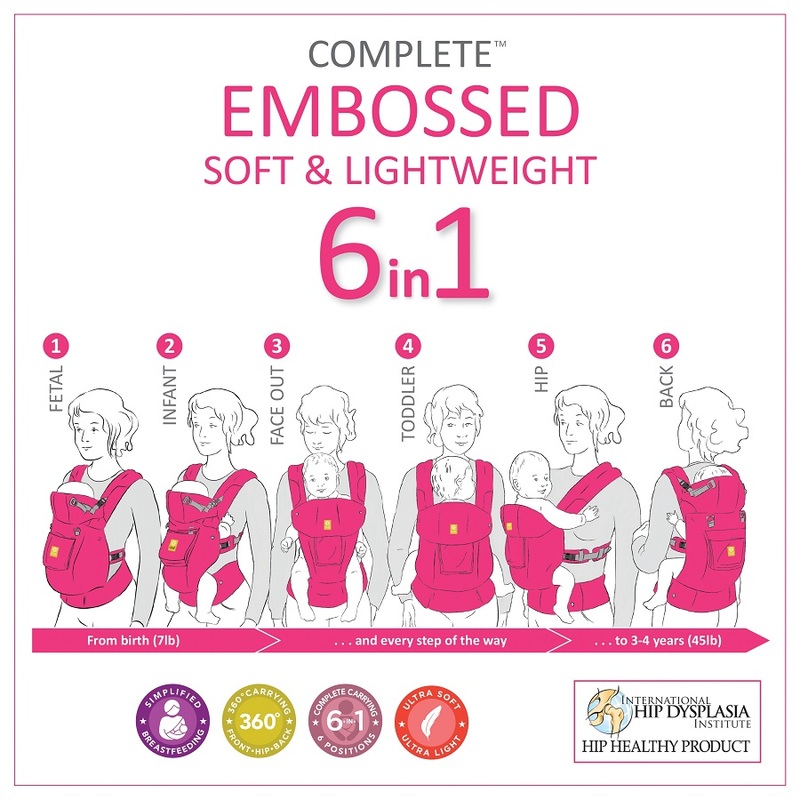 Six Ergonomic Carrier Positions – Includes every carrying position without the need for an infant insert: Front-fetal, Front-infant, Front-outward, Front- toddler, Hip and Back carry. This grows with your child through all the baby wearing years, from 7 lbs to 45 lbs. The patented cupped seat adjusts to keep baby ergonomically seated in all six carry positions through every development stage. Lumbar Support – Increases comfort, maintains healthy posture and alignment, and prevents lower back strain. Combined with an extra sturdy waist belt to maximize parent's comfort. Two-way Strap – Enables the wearer to carry "backpack style" or with straps crossed in the back. Dual adjustment buckles simplify breastfeeding and adjusting straps on the go. Sleeping Hood – Features dual adjustment points to provide tailored support for baby's head while sleeping, sun protection while exploring, and privacy while nursing. It is also removable. Extra Tall, Extendable Torso – So comfortable your baby will fall asleep. Provides extra neck and back support and keeps taller babies secure in the carrier. The adjustable width gently cradles baby's head. Elastic straps provide support while allowing for movement and easy adjustment. Pockets – Large zippered storage pocket, plus easy-reach pocket for storing hood and essentials. Wide, Padded Shoulder Straps & Waist Belt - Evenly distributes baby's weight for maximized comfort. Care Instructions: Carriers can be machine washed. Cold Wash on gentle, less soap, hang to dry!